This is for the person who wants to ensure their pitch deck is up-to professional standard. 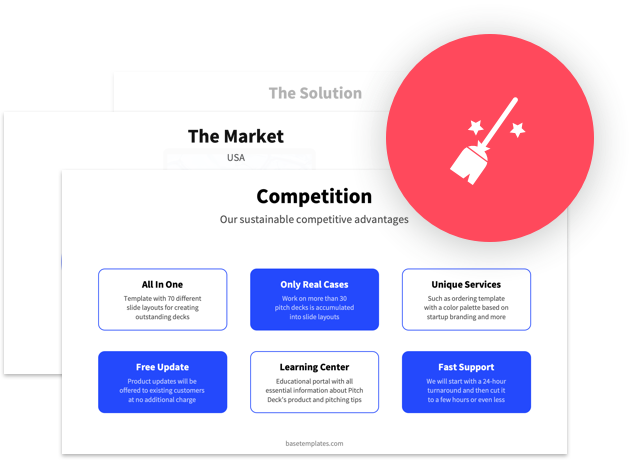 We will fix the alignment, consistency, and spacing of all content elements across your deck. Available exclusively to Pitch Deck Template customers. Delivery time: 24 hours after the purchase.